RPM’s Pacific Rim Hockey Academy (PRHA) has developed a program and curriculum that provides students the opportunity to balance their educational requirements while developing their hockey skills. This program is available for students grades 6 to 12 (depending on the specific school & location) and is offered as a Semester 1 program (September to January) or Linear program (September to June) depending on the academic format utilized by each community. In 2004 our content and curriculum was Board Approved with our course content meeting or exceeding the academic requirements for PE or a BAA (elective). This allows Pacific Rim Hockey Academy the ability and opportunity to take what we do to communities throughout the Province. 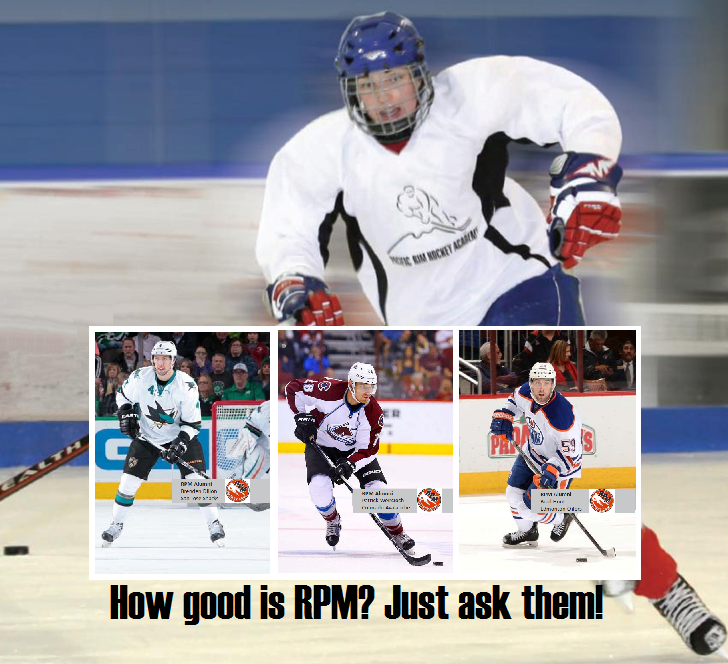 RPM-PRHA provides personalized instruction that educates and develops students in both the physical and mental aspects required to excel in hockey. Students obtain PE credit or a board approved elective credit and work experience. Hockey Academies have been created to 'bridge' the gap between academics and Hockey. An opportunity to obtain the highest academic standard possible. Acquire the hockey skills necessary to play at the level the student desires. Understand and further develop their fitness/wellness levels for hockey and general fitness. Develop their psychological skills and translate this to school, hockey, home life and within their community. Develop new physical and interpersonal skill’s through Recreation and Leisure opportunities. Become strong community citizens getting involved, giving back and leading by example. Off Ice Development – 2 hours per week (depending on specific school)-train properly and safely for hockey and general fitness. Building Good Community Citizens – Involvement in community activities/special events. Special Events & Outings - The opportunity to participate in a variety of special events and outings that encourages social interaction with their peers and strengthens each players character. Connecting Academics & Hockey Academics is a priority. In cooperation with parents, players, Faculty and academy staff we monitor the students performance. Good grades must be maintained or risk the reduction and participation within the academy. Please Note - RPM Hockey Company Ltd. reserves the right to use any photos/video footage taken during our programs for advertising and/or instructional purposes. If for any reason you don't want to be included please let our staff know.